Like Quesada, Pedro Abascal uses black-and-white photography to create a portrait of his hometown inDossier Habana. But Abascal's Havana is unlike Quesada's agrarian Amarillas. In one photograph, an older man with his shirt tucked neatly into his pants walks past a mural of an Egyptian pyramid with a double bass hoisted over his shoulder. Elsewhere in the city, a young girl peers through a window, her palms pressed against the glass while an adult woman delicately holds onto her. A number of conflicting reflections confuse the scene, but it appears to be on a bus. In another, two women stand in a room cluttered with furniture, wood, bikes, and several mannequins. Together, these photographs illustrate a city that is busy and animated, although the bright colors often associated with Havana are by no means absent. Pavel Acosta's colorful photographs from his Stolen Talent (2009-10) series, for example, document the DIY culture of automobile repair and modification that arose out of decades of restrictive domestic policy and foreign embargo. If there is a uniquely Cuban aesthetic among all these varied artworks, it is not easily observable. 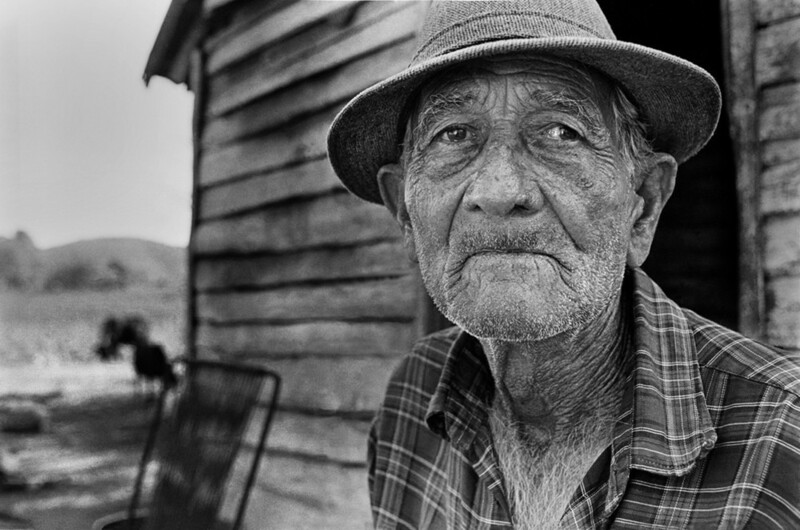 Instead, the lack of uniformity speaks to the vitality and diversity of contemporary Cuban photographers.